PR professionals comment on blog posts for a number of reasons. We might seek to correct information, share additional resources or simply thank the author for the original post. We may recommend that our clients’ spokespeople participate in the blogging community to build their reputation and credibility, leverage SEO opportunities or help manage customer relationships. However, a poorly planned and irresponsible comment from a PR pro can lead to an unpredictable and often damaging response from the blogging community. Earlier this year, an Atlanta Journal Constitution restaurant reviewer wrote a fairly negative review of a Buckhead steakhouse. Although he enjoyed the atmosphere, the journalist was very unimpressed by the quality of the food, and he gave the spot a “Fair” rating. AJC readers responded in kind. But one dissenting voice stood out from the criticism. Posted under a vague alias, this positive and enthusiastic review disagreed strongly with the journalist’s critiques. What that commenter did not mention, however, was that she was a member of the PR team representing the restaurant. The journalist was not so oblivious: as a website administrator, he could see the commenter’s email address, which clearly identified her, and he called her out. To quote one of the subsequent comments: Busted. Transparency is not a luxury in PR. If that PR professional had identified herself in her comment—simply writing “I work for Company X, but this has been my experience” would have been sufficient—I would be writing a very different post. But the professional instead attempted to sway the conversation by using an anonymous account, and history has proven that the Internet is not kind to those it deems inauthentic. It seems like common sense advice: Identify yourself. Identify your conflicts of interest. But the temptation to sway the conversation is strong, and some of our colleagues in PR, perhaps due to inexperience or perhaps because they don’t believe that they will get caught, continue to make the same mistake. Pretending not to have a conflict of interest—and that is exactly what these types of comments are doing—rarely ends well, and it reflects poorly on the industry as a whole. Strong commenting policies and guidelines rooted in transparency and disclosure, like those set out by the United States Air Force, can help prevent these unfortunate outings. As publicists, we recommend that our clients are transparent and authentic in interviews. Shouldn’t we hold ourselves to the same standards when commenting on blogs? 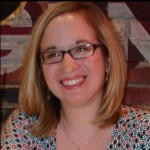 Holly Grande is the social media manager for Cookerly Public Relations, an Atlanta-based PR and marketing agency. Follow Holly on Twitter @hollygrande.